Keywords: generalized Klein-Gordon equations, generations of particles, chronological products of fields, Green functions, Lagrangians, particle energies, particle moments, indefinite metrics. The solutions of generalized Klein-Gordon equations are considered. The generalizations of the Klein-Gordon equation allow one to derive convergent integrals for the Green functions of these equations. The generalized equations are presented as products of the operators for the Klein-Gordon equation with different masses. The solutions of derived homogeneous equations (total fields) are sums of fields corresponding to particles with the same values of the spin, the electric charge, the parities, but with different masses. Such particles are grouped into the kinds (families, dynasties) with members which are the generations. The chronological products of the scalar fields for kinds of particles are obtained at arbitrary quantity of the generations. These chronological products are the causal Green functions of generalized Klein-Gordon equations. The Lagrangians for the generalized Klein-Gordon equations of arbitrary order are derived. These Lagrangians are used to obtain the energy-momentum tensors for the particle kinds at arbitrary quantity of generations. It is shown that the generalized Hamiltonians (for total fields) have got positive eigenvalues for all the generations. These results are derived with the use of the indefinite metrics. Kulish Yu. V., Rybachuk E.V. 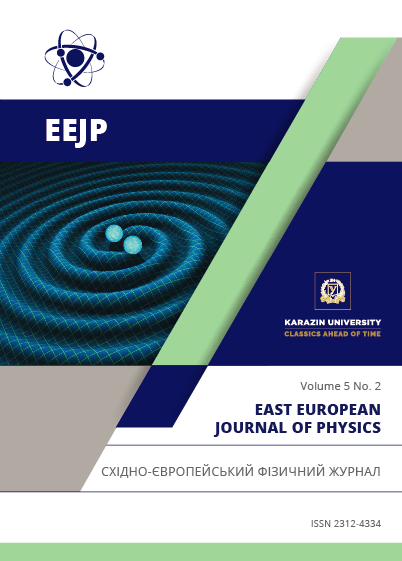 Divergences of integrals for Green functions and necessary existence of particle generations // Journal of Kharkiv National Univ. – 2011. – No.955. – Iss. 2(50). – P.4-14. Kulish Yu., Rybachuk E.V. Necessary generalization of Klein-Gordon and Dirac equations and existence of particle generations // Problems of Atomic Science and Technology. – 2012. – No.1 (77). – P. 16–20. Kulish Yu. V., Rybachuk E.V. Locality of quantized scalar fields for generations of particles // EEJP. – 2017. – Vol. 4. – No. 4. – P. 4-11. Kulish Yu.V. Classification of particles at arbitrary quantity of generations. I. Hadrons // EEJP. – 2016. – Vol. 3. – No. 4. – P. 22-33. Whittaker E.T., Watson G.N. A course of modern analysis. Vol. 2. – Cambridge: University Press, 1927; Moscow: Gosudarstvennoe izdatel’stvo fisiko-matematicheskoj literatuty, 1963. – P.215. Kulish Yu.V. Elimination of singularities in causal Green functions for generalized Klein-Gordon and Dirac equations on light cone // EEJP. – 2016. – Vol. 3. – No. 3. – P.73-83.